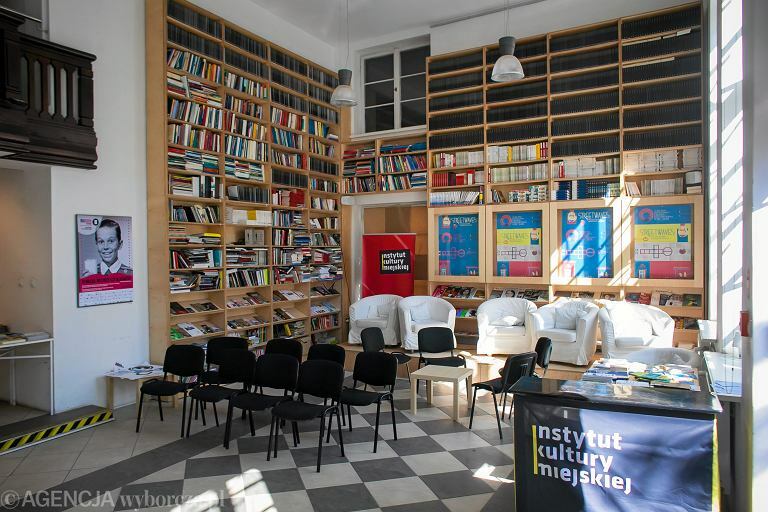 This is a municipal institution in Lublin established in 2009. Cultural Workshops promote the concept of “active culture” — their activities are planned taking into account the needs of the local population. It means involving the population in the cultural life of the city and expanding the cultural knowledge of the people. Development of training programmes for culture specialists. 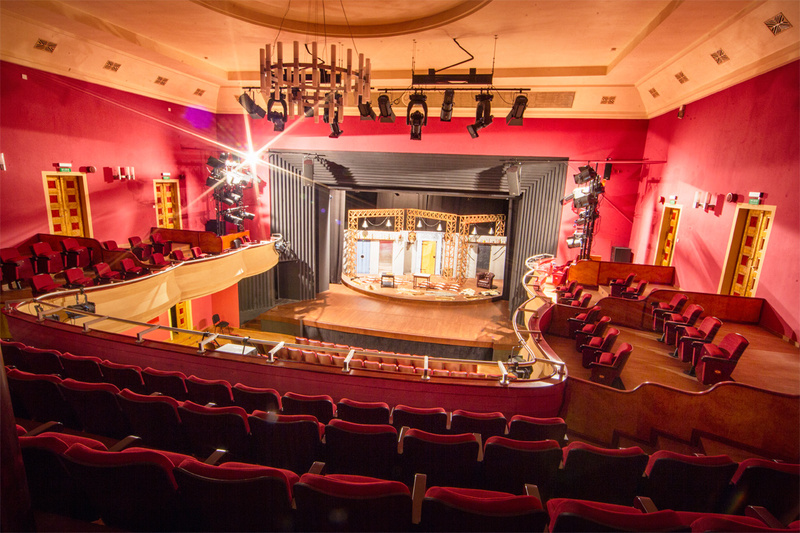 Stefan Jaracz Theatre, the only one in the district, was founded in 1945. Nowadays, it has four stages and a standing acting company that stages 10 new plays per season. The stage director is Janusz Kijowski. It was he and his colleague Andrzej Wajda who founded the “cinematography of moral anxiety” — a new art movement of Polish cinematography in the 70s. The theatre team is open for cooperation within the confines of organising festivals and productions, educational projects and sharing experiences. Most of all, it is interested in cooperation with Belorusian, Moldavian and Ukrainian organisations. Moreover, the theatre has always wanted to invite other theatres from the Caucasus region to their Demoludy Festival. This cultural centre is located in Nowa Huta, an industrial district of Kraków. The mission of the organisation is to tell about the role of culture and promote the revival of cultural life in the local community, strengthening its social potential and developing partnership ties. Main areas of activity: literature and literacy, cinematographic art, history, local heritage and traditions, informational technologies, environmental protection, theatre, and music. For 2016/2017, C. K. Norwid Cultural Centre also plans the following: development of the new creative space — ARTzona — in Nowa Huta; holding an international conference regarding the role of art in public space; following the Unblock the East project opened in 2015 and devoted to issues in European and Far East Asian countries dealing with their difficulties after the collapse of the socialist camp. Cultural Centre teams are especially interested in cooperation with organisations from Belarus and Georgia. This is due to the existence of a specific idea that they would like to implement together. The Art_Inkubator in Fabryka Sztuki (Factory of Arts) is situated in the premises of a former plant and adjoining warehouse. The organisation was established in 2006 by the Art Centre Lodz, Chorea Theatrical Association and city council of the City of Lodz. Fabryka Sztuki aims to provide cultural and artistic education of population, theatrical activities, visual art, and music. They consistently announce educational and creative initiatives that have become an integral part of the Lodz event calendar, hold master-classes, lectures and meetings with outstanding figures of art and culture, and organise performances, concerts and film exhibitions. One of the key aspects of their activities is the professional development of cultural and creative sectors within the context of the Art_Inkubator. They are interested in cooperation with organisations from Ukraine and Belarus due to their present experience and contacts, BUT are also ready to build new partnership ties with other Eastern Partnership countries. Fabryka Sztuki/Art_Inkubator are seeking to evolve cooperation in the area of professional development of cultural and creative sectors that will enable the sharing of experiences of promoting the development of creative businessmen, typical educational programmes and operational platforms for professionals in the cultural and creative sectors. Foundation 4.99 or Bôłt Records in Warsaw was created only seven years ago. This is the centre of experimental music in Eastern Europe that brings us back to the epoch of pioneer electroacoustic studios and radio art. Every year, the Centre releases 10 to 20 CDs and 3 to 4 issues of Glissando magazine about modern music. In 2016 and 2017, they intend to use these resources to tell everyone about the results of their studies, launches of new projects, as well as exchange projects they plan to organise in cooperation with partners from Eastern Partnership countries. They prefer to cooperate with Armenian, Georgian, and Ukrainian partners. This is because Bôłt Records is mainly interested in the music heritage of modern composers and sound art of those countries. The studies of Eastern Europe modern music culture and its expansion are the main targets of Glissando magazine and the Bôłt Records label. The Institute positions itself as “initiator of cultural events in Gdańsk city space, studies ever-changing modern culture, inspires and supports cultural sector at city and regional levels”. This is the venue for holding lectures, film retrospectives, chamber concerts, craft workshops, and professional training. The Institute acts as the organiser of literary and creative festivals, city public events, city excursions in the company of local guides, and gives classes at its Cultural Observatory, publishes books. One of the main activities of the City Culture Institute is translation. Its literary project Gdańsk Meetings of Literary Translators or Found in Translation is a new and unusual literary festival aimed at the art of translation. The best writers, literary translators, literary critics, and readers from all Poland are invited to discuss literature and translations. The Institute’s priority areas of cooperation are as follows: translation seminars and programmes, literary festivals dedicated to translation and public discussions, translation and university programmes. One of the programmes that will be relevant for organisations of Eastern Partnership countries is CORNERS, a programme developed and supported by cultural organisations on the outskirts of Europe and representing a sort of platform for professionals and audiences. Yaroslav Petrakov: "British Universities Have Evolved Along With Its Community. We Have To Do The Same"